At Perrysburg Auto Mall, we understand that your car or truck is one of your most valued investments. With our exceptional car maintenance and auto repair services, we are committed to helping you extend the life of your car or truck. Even if your brakes are not screeching or squealing, it is a good idea to have them checked periodically. Come in today for a brake check, and we will let you know where they stand. 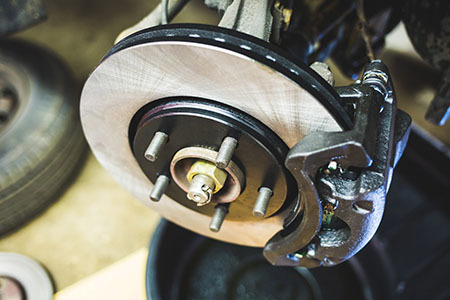 We provide a wide range of brake repair services for both import and domestic vehicles. Our ASE Certified auto technicians understand how important the brake system is in your car or truck and how it plays a vital role in keeping you and your family safe. If your car is experiencing any of the above, bring your car in for a brake check. The brake components in the automotive brake system wear down over time. The brake pads or shoes are the most common brake replacement service that we do. Starting with brake pad replacement at $99.95 We also offer brake rotors replacement and machining, Caliper and complete brake line replacement. We offer free lifetime brake inspections when brakes are purchased from us.